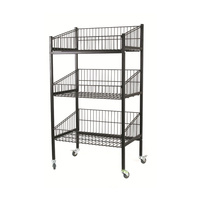 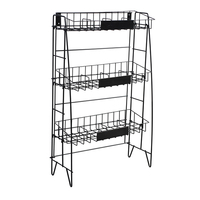 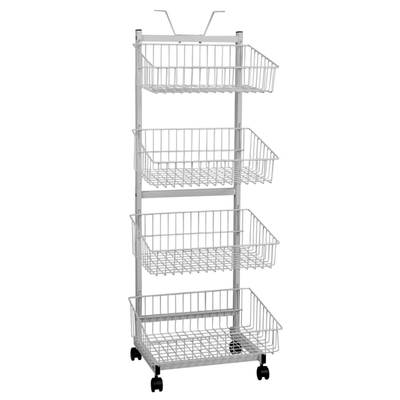 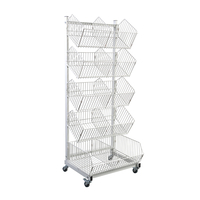 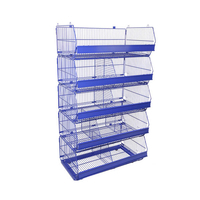 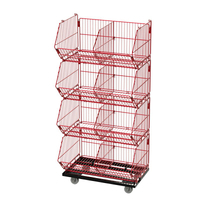 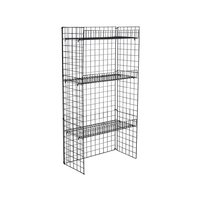 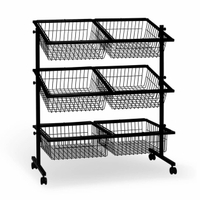 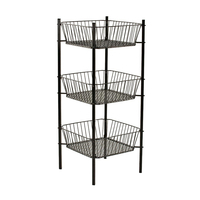 The 4 Basket mobile display stand features high capacity, sturdy metal construction. 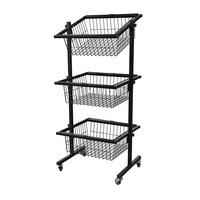 Casters allow the display to be easily moved where needed. 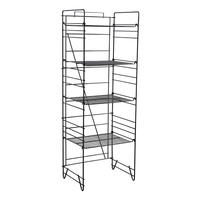 Sign holder are included.